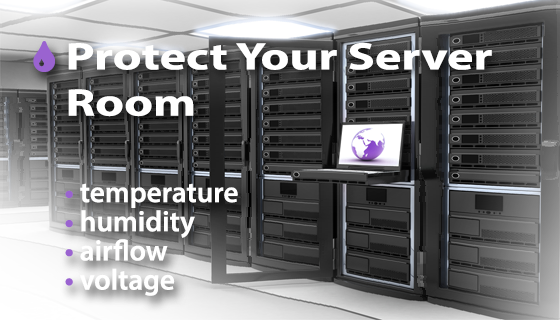 Monitor temperature and environmental conditions in server rooms and data centers. Hourly, daily, and monthly data logs of sensor data for use in server room design planning and historical reporting. Immediate alerts once pre-defined thresholds are met via email and SMS* text messages and audible/visible alerts. There perhaps isn’t a better example of the need for monitoring than in IT / Server Room and Data Center environments. We all know how sensitive Servers, Switches, Blade Centers and other Network Infrastructure are to temperature changes, airflow, water presence, and voltage fluctuations. We invest in high end air conditioners (sometimes not so high end) and other equipment to keep these environments at their optimal operating states, but what if these devices fail, or even worse, are slowly failing. Temperatures start to slowly rise, equipment starts to heat up, fans are spinning faster trying to keep everything cool, until it gets to that crucial tolerance point where everything starts shutting down. Everyone in your organization or company is down now; nobody has access to mission critical applications, shares, files, emails, or even make and receive calls because the digital telephone lines are down. Your company is losing money on just downtime alone, and in most cases servers and other equipment can and will get damaged depending on when the fault was discovered. Replacing and bringing everything back up can get extremely expensive. 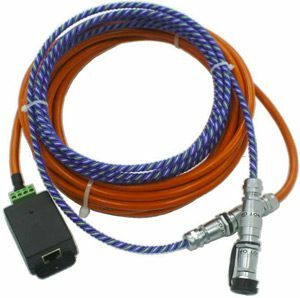 The bottom line; this could have been foreseen and avoided with the use of a few server rack temperature sensors. Unfortunately, a lot of our clients have experienced this and are with us for this exact reason. We offer complete and fully customizable / scalable solutions to monitor server rack temperatures and most importantly, alert you in case unfavourable environmental conditions occur in your server room, data center or any other critical area you wish to monitor. Explore our SensorHawk and SecurityHawk monitoring systems in a live real-world environment. 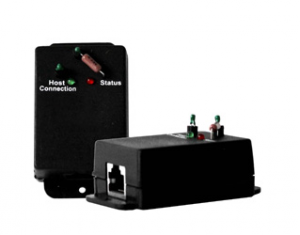 Connect your SensorHawk base unit to Enviromon’s CloudHawk remote monitoring system to monitor environmental conditions remotely in real-time from any internet connected smartphone or web browser and view historical data over chosen periods of time.